Published when the author was only 22 years old, My Left Foot is the story of an extraordinary person. 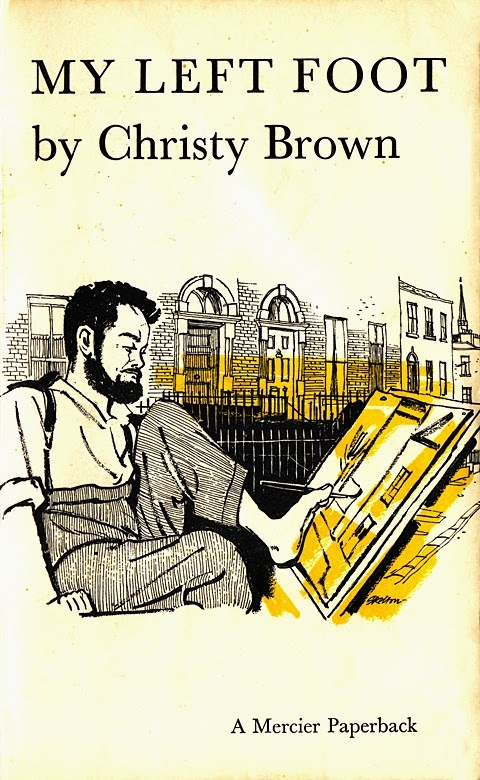 Christy Brown was an imaginative, sensitive soul trapped in a body twisted and crippled by cerebral palsy. Barely able to talk, at the age of five he picked up a piece of chalk with his left foot, the only part of the body with any flexibility, and thus began to communicate. Brown has the Irish gift of storytelling, and writes simply and lirically about his life. At times, when he tells of his feelings of loneliness, entrapment and suffocation, it is heartbreakingly painful. But through painting and writing - with his left foot - he is able to express his pent-up feelings and experience moments of transcendence. One of the most moving scenes is of the candlelight procession at Lourdes, which Brown describes as 'the most beautiful moment of my life'. The book is not without humour, however. particularly funny are the author's descriptions of his large brood of siblings, who take him on adventures through working-class Dublin in a battered little go-cart named Henry. Throughout his autobiography, Brown acknowledges the friends and guides who have helped him along the way: social worker Katriona Delahunt, doctor and writer Robert Collis, teacher M. Guthrie, and especially his mother, who from the time he was born, vehemently denied that he was mentally defective and refused to let him be placed in an institution. My Left Foot, without lapsing into sentimentality, helps us to empathize with severely disabled people and see them as complete human beings. Jim Sheridan adapted the text into an equally fine film starring Daniel Day Lewis and Brenda Fricker, both of whom received Academy Awards for their fine performances. Brown's self-proclaimed masterpiece, Down All the Days, was an ambitious project drawn largely from a playful expansion of My Left Foot; it also became an international best-seller, translated into fourteen languages. The Irish Times reviewer Bernard Share claimed the work was "the most important Irish novel since Ulysses." Like James Joyce, Brown employed the stream-of-consciousness technique and sought to document Dublin's culture through the use of humour, accurate dialects and intricate character description. Down All the Days was followed by a series of other novels, including A Shadow on Summer (1972), Wild Grow the Lilies (1976) and A Promising Career (published posthumously in 1982). He also published three poetry collections: Come Softly to My Wake, Background Music and Of Snails and Skylarks. All the poems are included in The Collected Poems of Christy Brown.